What you should know about Bullion Dealers before you decide to deal with one. What you should know about Bullion Dealers and their business practices before you decide to deal with one. The more you know about a business, the better off you are when you purchase from them. This page was created to guide you through what you should be aware of before, during, and after you buy bullion from a bullion dealer. The majority of these companies deal in Gold IRA's. In most cases, these types of bullion dealers have a 'Request Information Form' for you to fill out so that they can get back to you and work with you one on one on whether or not a 'Gold IRA' is right for you. Furthermore, it is always best to speak to an independent financial advisor before you decide to start a 'Gold IRA,' they can also direct you to who is the best company to contact. If you are interested in a Gold IRA, you can learn the basic governing principals on this guide's Gold IRA page, before you call a financial advisor. The best way for a business to gain the trust and respect of their customers is to be completely upfront with them from the beginning. A bullion dealer that sells bullion directly to the public, for immediate delivery, should always display the prices for the bullion they sell. Any bullion dealer that offers home delivery and doesn't post their prices online should have their motives questioned. You should not have to call and talk to a salesman to find out what their prices. In the bullion market, the Spot Price is the price for a precious metal, quoted for the immediate delivery after payment. Prices of bullion, for the retail investor, are based upon the spot price of the precious metal. Bullion Dealers use the spot price of a precious metal as a starting point for pricing bullion. Dealers add a charge above the spot price of bullion to help them pay for overhead, which is added to help the dealer operate their business. 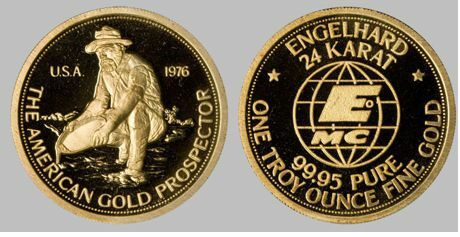 Please Note: Bullion Dealers combine the 'overhead costs' with a bullion item's 'premium' to produce the final price. 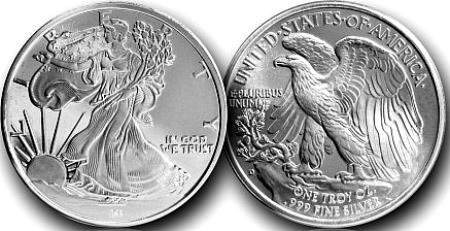 However, the premiums for some types of bullion can be virtually nonexistent like the silver rounds in the GoldenState Mint ad above. In addition, some bullion items have higher premiums depending on its mintage, quality, and demand in the collectible or numismatic markets. The following group of Bullion Items encompasses ALL of the Types of Bullion Coins, Rounds & Bars that possess a Collectible Premium. Note: The bullion items below are listed from the Lowest Premiums to Highest Bullion Premiums, but please keep in mind that Collectible Bullion Premiums can easily change at any time. Vintage Brand Name Bullion Bars - 20oz or Smaller Bars, in addition to artistic or odd shaped bullion bars. 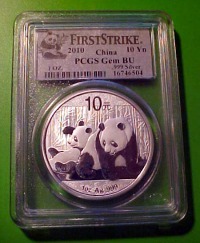 The Premiums on Graded Coins range from Highest to Lowest in the same order as the Grading Companies are listed. Copper bullion is becoming more numerous on bullion dealer's websites, and many buyers see it as an easier way to buy bullion than to pay for some other more expensive precious metals. This spot price reflects copper's price per pound (lb. ), not per troy ounce. Copper is considered to be more of an Industrial Metal than a precious metal. Also, it is more abundant in the earth than other precious metals. Copper is priced in the Avoirdupois (pronounced; a-vo-du-pwa) system of weight, and not in Troy Ounces like the other precious metals. You can learn more about copper bullion on the Coin Dealers page: here. The dealers that do charge a surcharge, don't always call it a "Surcharge," they will call them extra fees, handling fees or simply commission fees. Either way, you want to read all the fine print on every bullion dealers website, before you buy. If a bullion dealer has any additional fees for any of their services, they are legally bound to inform you of them somewhere on their website. You can usually find out if the dealer has any additional fees at the bottom of a bullion dealer's web page, under the following titles "terms and conditions, policies, disclaimer, shipping charges, sale terms or just fees." 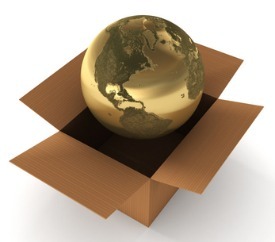 Every Online Bullion Dealer has to offer shipping if they don't have a physical location. In the last few years bullion dealers like BGASC and GoldenEagleCoins, have started to offer Free Shipping on orders over $99, in fact, most of the bullion dealers that this guide is affiliated with, offer a similar deal. But don't expect this great service from all bullion dealers because some don't offer it at all. In the end, who you order from depends mostly on who offers the best Customer Service and which dealer's services you like the most. Email - Confirming the Shipment of your order, this email should include the tracking number - so you can know what day someone needs to be home to sign for the package. Packaging - No matter what is the size of the order, all items should be well secured in the delivery package (box, envelope, etc.) with no movement of the items shipped. This is to ensure that the package will not be perforated. 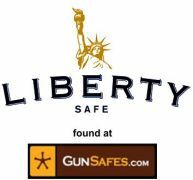 Lastly, there is no doubt that you've seen one of the logos below, there is also very little doubt that a reputable bullion dealer will use one, two or all of those package delivery companies. It is when you see a delivery company's name that you don't recognize that you should 'Search' on the web as to who that shipper is and look into how good or bad their services are before you let them ship your order. There are several methods of payment that you can choose from when you decide to purchase bullion. You can expect a bullion dealer to accept one or more of the following forms of payment; Bank Wire, Bitcoin, Check/MoneyOrder/Cashier's Check, Debit/Credit Card and Paypal. Not all bullion dealers accept the same forms of payment; You will find out what type of payment a dealer accepts either during the ordering process or at checkout. 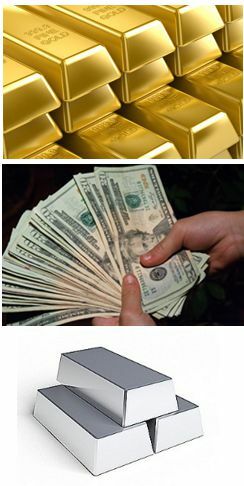 Below you will find a list of each method of payment bullion dealers offer along with a short description and the pros and cons of using the method of payment. Bank Wire Transfers - are a method of transferring money electronically, from one person or institution to another. Highly Secure - As long as you Trust who you are sending it to. Visit this guide's Bank Wire Transfers page where You can learn a lot more about Wire Transfers; it includes a step by step guide to help you through the process of making one. In addition, you can also visit Western Union's website to learn more about Bank Wire's and how to send them online. Bitcoin - is a type of digital currency a.k.a. Crypto-Currency in which encryption techniques are used to regulate the generation of units of currency and verify the transfer of funds, operating independently of a central bank. Check/MoneyOrder/Cashier's Check - these methods of payment are usually grouped together because they have so many similarities. Stop Payment - Note: To be able to stop a payment on a Money Order you must keep your receipt. Credit Card - Payment is provided to you through 'Credit' by a bank, business, etc. If you have a PayPal account, Only deal directly with PayPal, on the PayPal website - NEVER reply to an email that says it is from PayPal. Hackers make emails look like they are from PayPal, in some cases using PayPal's logo - if you reply hackers can access your information. If PayPal has an issue with your account, there will be a Notice on your PayPal page, check there first, even if you get an email notice, to be sure someone isn't trying to hack your account. When you know what bullion dealer you want to buy from and what you want to buy, you may want to consider budgeting your investment dollars. You may want to split your investment money; meaning don't put all your eggs in one basket, at one time. Let's say, for instance; You want to buy some silver bullion. And let's go back in time to late April of 2011, when the price of silver was getting near its top of $49.00. Do you want to get in at that price? Or Do you want to see if the price will dip to a lower level? You hear the pundits saying the price is going higher. But this is your money; it is up to you when you want to start buying; not them. Continuing with the scenario, you want to get in the market, or you're already are in the market, and you want to accumulate more precious metals. But, you look at the chart and the price has gone straight up over the last few weeks, and the charts are looking like the price should correct itself sometime in the near future. So you only invest a half, a quarter or less of your money, or you stay out of the market completely and wait to see what the price will do. Then you watch the markets and read the News on the homepage of the Free Bullion Investment Guide. Depending on what the silver price does, you make your decision from there and either continue to hold, sell or buy. Many investors can get caught up in the hype when a market is going through the roof. It's hard for any investor to decide when is the right time, or price, to buy and sell. 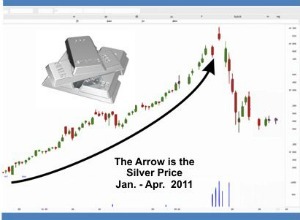 The lesson from the silver market of April 2011, is that if the price has moved more than 20% in a short period, there's a good chance a correction is around the corner. Ultimately, it's your choice for when you get into any market, and you have your comfort zone. You make the choices of how and why you are investing in the market and when is the right time to get in or out. Following your own Budget for an Investment is always the Wisest choice to make. This section is for you if you've never ordered from a bullion dealer before in the past. If you're new to this industry and if you're not sure of what you want or like, the best thing to do is to make a small purchase or several small purchases of different types of bullion from several different bullion dealers. The reason why you would do this is to decide which bullion dealer's services you like the most. How you set your maximum is entirely up to you, you may simply want to make it the equivalent of a few ounces of silver, or a good rule of thumb is to keep the amount under the equivalent of 10 ounces of silver or less. In addition, keeping your personal maximum at this low number will show you how the dealer treats all their customers, in regards to how much they spend. Everyone expects good service when they are handing over a lot of money, but dealers who recognize the value of every customer will understand that everyone should receive the best service no matter how much they spend. 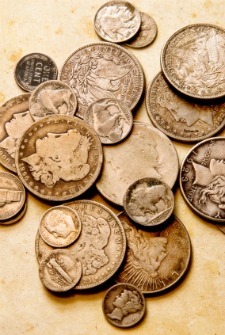 Each buying guide offers you an in-depth discussion about each type of bullion. At the bottom of each page, you'll find a list of reputable bullion dealers who offer that type of bullion along with links to their Better Business Bureau ratings and other customer review pages. Be Aware of What You are Buying!